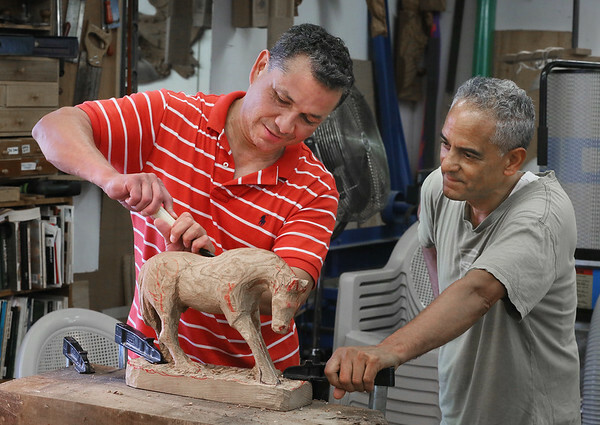 Sculptor David Calvo watches as one of his students, Juan Hincapie of Brookline, works on the figure of a horse Tuesday during a wood-carving workshop at the Calvo Studio in Gloucester. Students travel to Gloucester from across the country and around the world to study with Calvo, who has workshops every month. For more information, go to http://www.calvostudio.com.